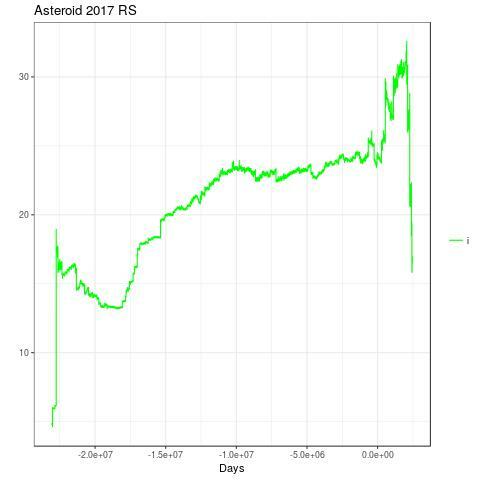 astro: Asteroid 2017 RS - an extinct comet? 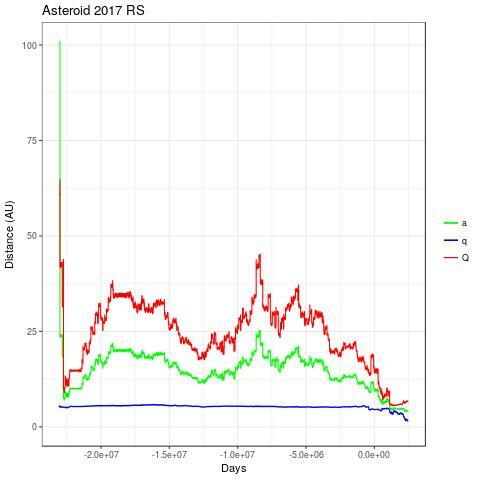 Asteroid 2017 RS - an extinct comet? Asteroid 2017 RS was first observed at Pan-STARRS 1, Haleakala on 2017-09-01. It is classified as a Mars-crosser. Its orbit is still very uncertain (condition code 9). 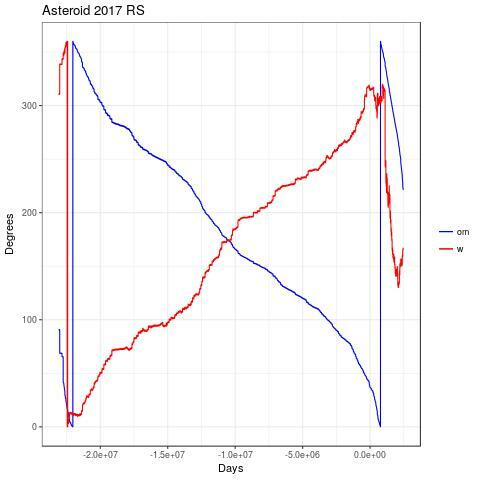 It would be nice to have more data because this asteroid may be an extinct comet. 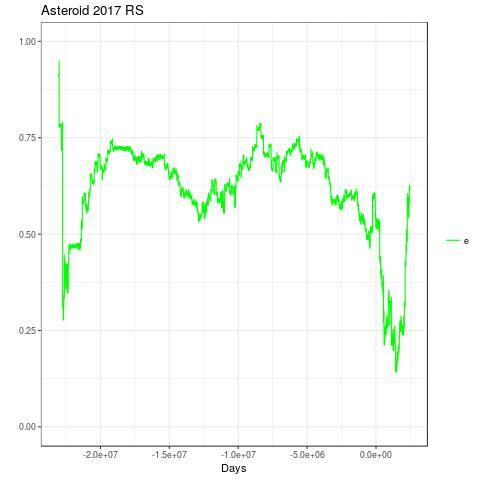 I used Mercury6 simulator by John Chambers to check what might have happened in the last 10^8 days (about 273000 years). The arbitrary threshold for the ejection distance is 100 AU. I generated 100 clones with a little R script. Every orbital parmeter has an average similar to the correspondent nominal one. Every orbital parameter has a standard deviation equal to the uncertainty shown above. These graphs were made using the R ggplot package. After the simulation, I got 78 out of 100 clones that arrived from the outskirt of the solar system. The actual arrival date range is extremely high: the most recent date was about 1565 AD.